COMMENTS FROM A FRIEND/WHAT MAKES A GOOD PHOTOGRAPH? A CHEATER WITHOUT INTEGRITY; IS IT TRUE? 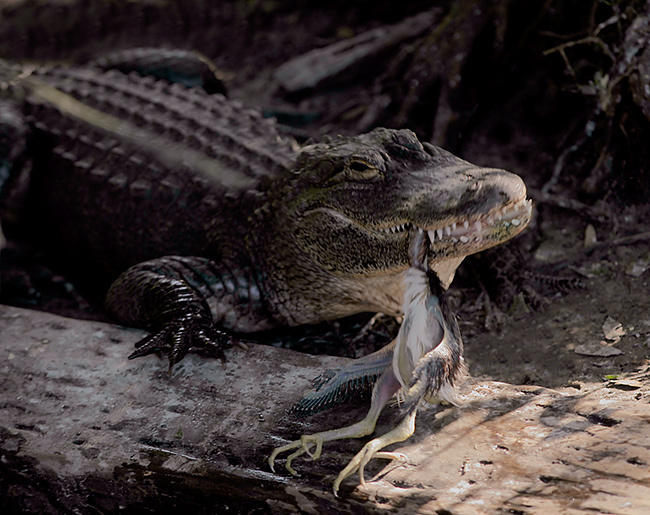 Photographic theme: some of my favorite images from the St. Augustine Alligator Farm IPT. Canon 500mm f/4L IS lens with the EOS-1Ds Mark II. ISO 400. Evaluative metering +1/3 stop: 1/250 sec. at f/7.1. Fill flash at +1 stop. When I arrived at the St. Augustine Alligator Farm last Wednesday afternoon to scout for the IPT, it seemed that the photographic opportunities were not as good as they had been in previous years. Two years ago the rookery underwent a re-vegetation project; many exotic plants were removed and many new native shrubs and small trees were planted. And those new plantings are flourishing. 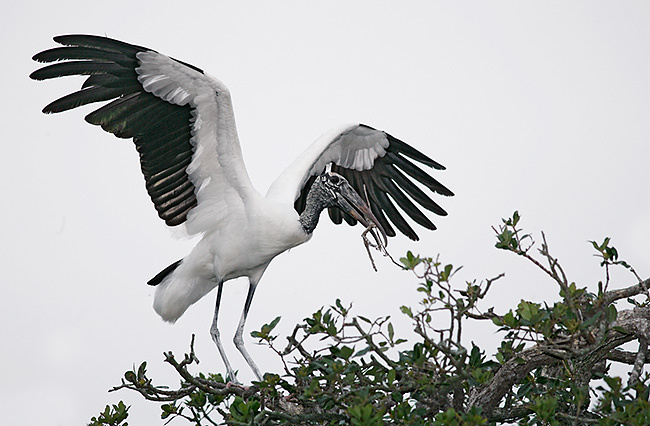 Wood Stork numbers are down drastically and many Wood Stork nests failed (most likely because of lack of food). In most years there are several easy-to-photograph Great Egret nests with young below eye level; this year there were none. I think that this group learned more than any other IPT group ever. On many tours, I feel lonely. Folks rarely ask me questions. They rarely follow me around. During each IPT’s introductory slide program, I always mention that the best place to be is right next to me, and that the only way to go home unhappy is to fail to ask questions. Well this group believed me and really out-did itself. We had four great in-classroom sessions; I rent the education center at the Farm for our lessons. When I asked if anyone wanted to take a walk around the zoo portion of the Farm one day when the light got harsh, seven or eight of the group joined me. When some spoonbills landed in the big perch tree they were directly backlit; when folks started for the tree, I called out, “Waddya doing? What about sun angle?? ?” Five or six folks joined me as we took a walk through the Gomek memorial and found a few spots right on sun angle with clear views of the perched spoonbills. After a few minutes, I headed back to the boardwalk and rounded up the rest of the boys and girls with big lenses. We had great weather: 1 ½ days of mostly cloudy, and 2 days of sun. (I love the clouds way better.) And it was pleasantly cool throughout (save for the first afternoon). We had great food, most of it at the Gypsy Cab Company right down the street. 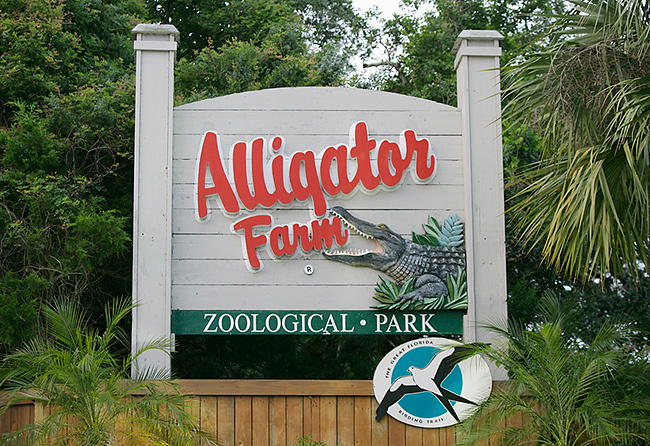 The staff at the Alligator Farm was helpful and pleasant. And nobody in the group even came close to being banned for life <smile>. All of the regular teaching posse members made the trip: Robert and Robert and Alfred and Fabs. And my main man Jim Litzenberg took a busman’s holiday and joined us. Everyone got along great and a good time was had by all. Especially me. Canon 70-200mm f/4L IS lens (handheld at 230mm) with 1.4X II TC and the EOS-1Ds Mark II. ISO 200. Evaluative metering at zero: 1/800 sec. at f/5.6. Fill flash at -2 stop. This spectacular bird showed up on our last afternoon and spent two hours displaying almost within arm’s length; what a way to finish! I verified the correct exposure by checking the histogram. Subject in shade, background in sun is one of my favorite situations. We began shipping Robert O’Toole’s Advanced Photoshop Tips and Techniques Simplified-1 (APTATS-1) PDF (available only on CD) last week. As is usual Paypal is quite convenient. Be sure to include your ship-to address. You can call us at 863-692-0906 with credit card in hand, or send a check for the correct amount made out to “Arthur Morris” to us as follows: Arthur Morris/BIRDS AS ART, PO Box 7245, 4041 Granada Drive, Indian Lake Estates, FL 33855. Canon 300mm f/4L IS lens handheld with the EOS-1Ds Mark II. ISO 400. Evaluative metering -1 stop: 1/200 sec. at f4. Tough the gator was in the dark, the board was in bright sun. I underexposed by one stop to try to save the highlights (on the sunlit board), but they were still over-exposed a bit. I used a combination of techniques to even out the exposure and reduce the great contrast. 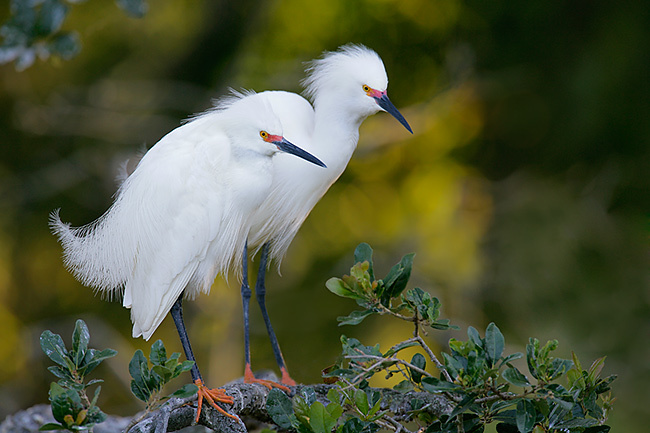 James Shadle has advised me that many baby Roseate Spoonbills have fledged on the Tampa Bay rookery islands. For the next three to four weeks there will be amazing opportunities (weekdays only) to photograph these fledged youngsters at close range (oh, those ultramarine lores!) and begging for food from their parents. 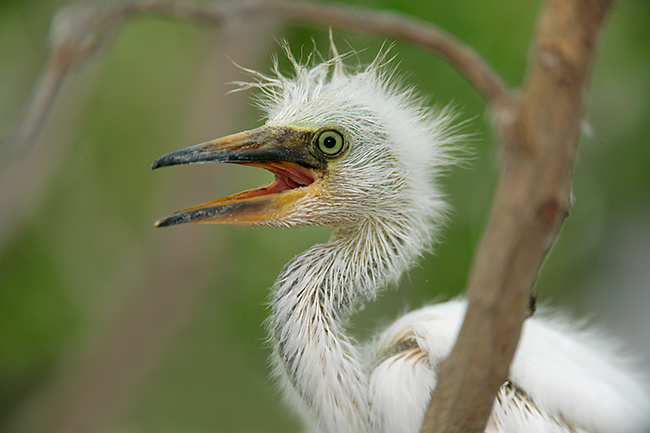 Just fledged spoonbills are an almost pure white with amazingly sky blue facial skin and lores. To explore the possibility of making a boat trip with Jim try him on his cell at 813-363-2854 (do leave a message if he does not pick up) or send an e-mail to James@wildflorida.net. The weather forecast (sunny with northeast winds) for tomorrow morning (Thursday, May 24, 2007) is perfect. I will be leaving Indian Lake Estates at 4:45am, abandoning both the complete home re-modeling project that I have undertaken and the tons of work that I have to do to photograph the baby spoonbills… If you would like to join us on the morning of Thursday, May, 24th (while learning from two great instructors for the price of one), call me at the office today at 863-692-0906. James’ standard rates will apply. If not, do consider a trip with Jim between now and mid-June. 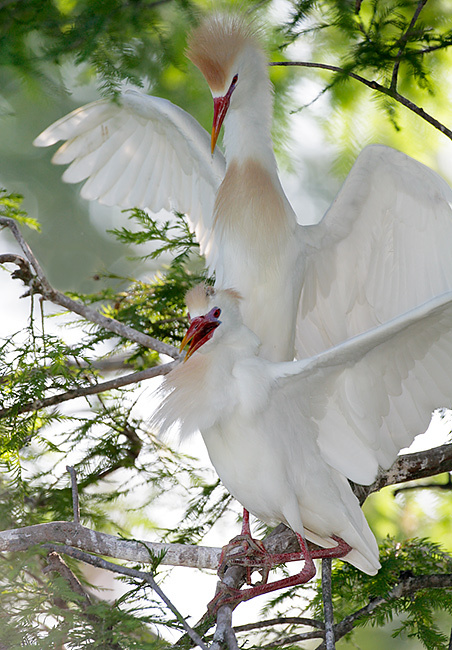 (There are still lots of adult spoonbills in breeding plumage around, and just-fledged White and Glossy Ibises should be out of their nests any day now. Canon 400mm f/4L IS lens (handheld) with the EOS-1Ds Mark II. ISO 500. Evaluative metering +1 2/3 stops: 1/1000 sec. at f/5.6. Fill flash at zero with the Better Beamer. As per our detailed e-mail instructions, when you first use a Lens Pen for sensor cleaning you need to tap the tip of the Lens Pen on a micro-fiber cloth to remove the dry lubricant. In addition, you need a good blower bulb to clean the chamber and to blow away the loosened sensor dust. For the convenience of our many customers, we have added the Tetenal Microfiber lens cleaning cloth and the Giottos Rocket Blower to our mail order line-up. The Tetenal Microfiber cloth is white, 8X10 inches, does not have any metal clips or fasteners on it, and is washable. After using your microfiber cloth to remove the lubricant on the tip of the smaller Lens Pen you can use the cloth to clean the front elements of your lenses safely without having to wash it. We advise that folks purchase both of these accessories when purchasing a Lens Pen combo kit. Tetenal Microfiber 8X10” Lens Cleaning Cloth: $8.99 + $2.01 shipping and handling = $11.00 total. Florida residents need to add $.63 sales tax bringing the total with shipping to $11.63. Giottos Rocket Blower (7.5" tall, 2.25" nozzle, 2.4" diameter): $10.94 plus $3.06 shipping and handling = $14.00. Florida residents need to add $.77 sales tax bringing the total with shipping to $14.77. Canon 70-200mm f/4L IS lens (handheld at 200mm) with 75mm of extension and the EOS-1Ds Mark II. ISO 400. Evaluative metering at zero: 1/400 sec. at f/2.8. This bird was sitting placidly on its nest right next to the boardwalk. I needed the three tubes (two 25s and a 12) so that I could focus well inside my lenses minimum focusing distance. I chose the f/2.8 aperture to accentuate only the eyes. A while back, I contributed a short essay to a Houghton Mifflin book project, “Good Birders Don’t Wear White.” It is a good read for, you guessed it, birders, but there are several photography-related essays including mine, and one written by a long time friend, Richard Crossley. 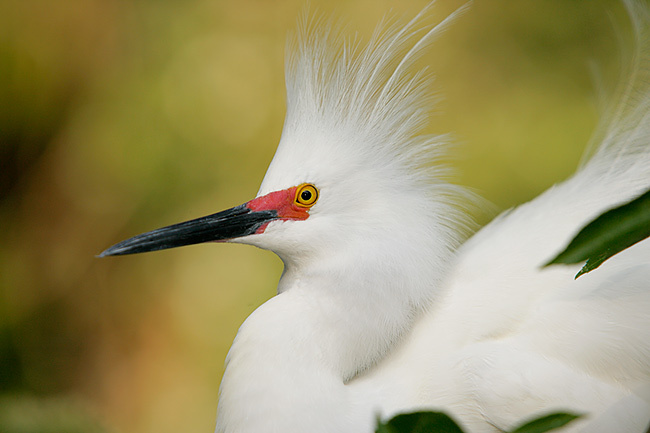 Richard is one of the world’s premier birders with almost unparalleled identifications skills. When Elaine was still alive, we often kept our motor home in Richard and Deb’s driveway, ran a long cord through there window, and plugged into a socket in their living room. Richard, along with Kevin Karlson and Michael O’Brien, is one of three authors of the fairly new (and excellent) book, “The Shorebird Guide” (also a Houghton Mifflin book). 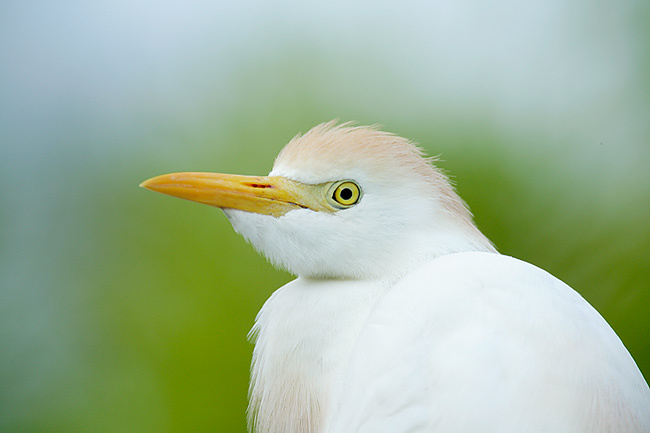 Richard kindly allowed me to reprint his essay from “Good Birders Don’t Wear White” here. My comments will follow. Passages of particular relevance to me are italicized. I am often asked ‘what are you’ – photographer or birder? Considering that for years I have told people that it is impossible to be both, I am now in a pickle. I started birding aged 10, by the time I was 14 it was starting to take over my life, by 19 it WAS my life, and at 21 I had put myself in numerous situations where it could have taken my life. I dragged my wife across the Atlantic Ocean so I could live with the birds – in Cape May, NJ. So I am a birder! Although I have played with photography for 20 years, it wasn’t until the early days of ‘The Shorebird Guide’ that my life would take another obsessive turn. When told it was impossible to get the images (the fancy way of saying photographs) that we needed for the book by respected professional bird photographers, there could be only one response - prove them wrong. So the first lesson is,” don’t always believe the experts because they are wrong far more often than you may think”. But when I think of the many family dinners I missed just to get a flight photo of one bird, an American Woodcock, perhaps I was wrong. Now, 4 years on, I go nowhere without a camera. I hate to say this but I occasionally get way into the field before realizing I forgot my binoculars. I suppose if I can’t be both a photographer and a birder, that makes me a bird photographer with a bit of inside scoop on birds. And yes, they are tricky little so and sos. They move fast, are nearly always not as close as we want them to be. So if you do what bird photographers are supposed to do, i.e. put a big camera lens with lots of cords, flashes and other rigmarole on a big tripod and walk up close to birds while they smile at you, well, good luck. To a bird, we look huge, probably something like an elephant would look to us. So thinking that birds can’t see us, bright clothes or not, hiding behind trees with big tripods.... what must they think! In my foreign travels I tended to skedaddle very quickly when an elephant came towards me. Anything that was moving very slowly got a second look and with time a comfort level builds up. Birds are scared by the same actions as we are and they react just as we would to an elephant. Change is the biggest factor. If a group of people are stood quietly but suddenly someone makes a quick movement or speaks loudly, the sudden change is a great bet for the birds to fly away. 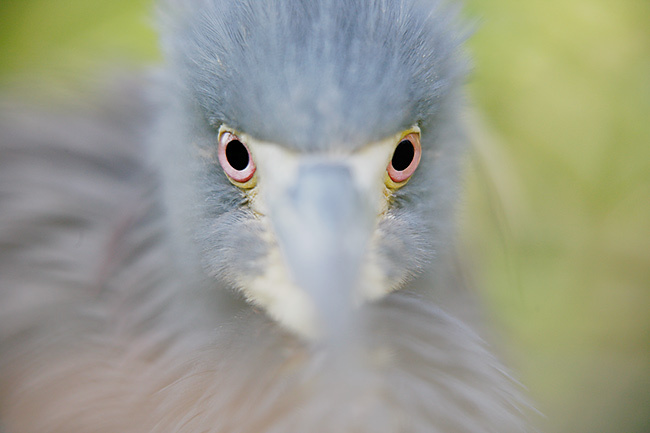 Even clicking your camera as you are getting closer to a bird is a great idea so the bird is familiar with the sound. Constant loud noise is often not a problem if there are no sudden changes in the volume. Back to the elephant. If it were on its knees or lying down would it be less threatening? Absolutely. The closer objects are the bigger they look. Okay, so you know what is coming next. That’s right, down you get. Crawling is the way to go if you are in the right environment, that is, on the beach or on short grass. But what about all my gear? Dump it! Now I am getting into really sticky ground with a lot of photographers. But let’s have a look at that. Tripod – what do you need it for? Rest your lens on the ground, hand or on your binoculars, depending on what angle you need. It is amazing how many natural tripods such as trees and fences there really are. Personally, I prefer to be without a tripod as they limit movement and make it very difficult to shoot moving birds. If I intend to be relatively stationary then I will use one. If you are able to hand hold your lens you can cover much larger areas in search of your prey. Then, when you see your target, you can take shots immediately. It is also easier to get closer to the subject because of the reasons already mentioned. Yes, there is a downside, particularly being able to shoot at very slow shutter speeds. Thus being able to shoot at high ‘f’ stops to get the depth of field and the scenic backgrounds I love. If you shoot ‘wide open’ (low ‘f’ stops) taking sharp photos should be no problem, particularly with an image stabilized lens and digital cameras that shoot good images at high ISOs. As for the other equipment such as flashes, are they vital? In poor light they make the image more visually appealing. However, they are not an accurate portrayal of the image as we see it. For someone who has spent many years studying the minutiae of bird identification and the effect light has, the use of flash is particularly distracting. I was also influenced by a two year stint in Japan, where bird photography had much more emphasis on natural light and images told the story about the bird and where it lives. Here in the US the image of choice seems to be a close up with sharp feather detail (probably with a bit of fill flash) with a nice uni-colored background – an image we essentially never see in reality through binoculars or with the naked eye. But it sells! It is not my cup of tea. So, you see I am a little biased when I say ‘life goes on without a flash’. In any case, for those who are a whiz in Photoshop, you can pretty much do whatever you like and fix it later. So what is a good image? My Dad, an impressionistic artist in the Van Gogh mold, describes art as “a pleasing arrangement of color and shapes”. When I think about it, this is how I see birds. I see shape and movement both in black and white and color in the beautiful places that they live. I do not see them in incredible detail, close-up with a uni-colored backdrop – do you? As to the answer to the question “What is a good image?” That’s easy, one that looks good to you and damn the experts! The Shorebird Guide is a wondrous book, especially for someone like me who is a shorebird nut. (If you are not a shorebird nut but would like to learn the basics of aging and identification of North American shorebirds, I can strongly recommend my “Shorebirds; Beautiful Beachcombers” (http://www.birdsasart.com/books.html#SHOREBIRDS). Above, Richard wrote, “When told it was impossible to get the images (the fancy way of saying photographs) that we needed for the book by respected professional bird photographers, there could be only one response - prove them wrong.” Richard was looking for images featuring small flocks of roosting shorebirds that included several species for side-by-side i.d. comparisons, and in addition, was looking for similar images with the birds in flight. 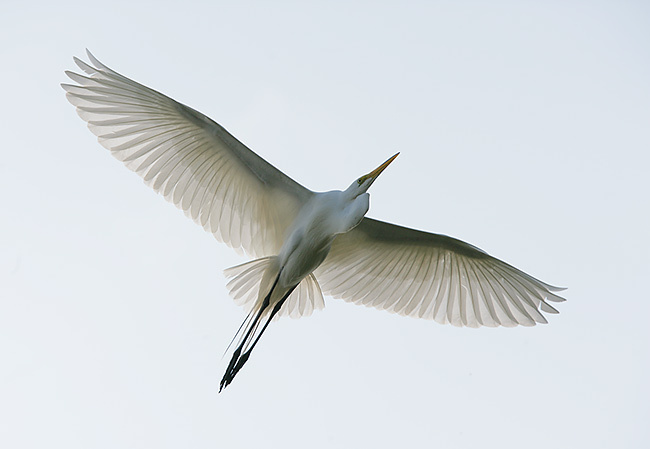 I had assumed that he wanted good or excellent photographs, that he wanted all of the birds sharp and in focus, that he was looking for photos that were pleasingly composed, and that the birds in the flight images featured pleasing wing positions. As it turned out, I was wrong. He was just looking for images that would fit with the concept of the book: identifying shorebirds by their sizes and shapes. When we spoke, I told him that I felt that many of the images that were perfect for his book were simply not good photographs. He begged to differ stating that if he liked the images and other folks did also that the images were both good photographs and art… Lastly he wished to include images of shorebirds in their natural habitats. There, he succeeded to some degree but many of those images were simply not good photographs. I continued by saying that in my book, bad photographs should not and could not be considered art no matter how many folks like them. He countered by saying that lots of folks loved the images in the book. I said, yes, they liked the images because of their value to the book. If they thought that they were good photographs, then they needed to be educated <smile>. Or, as I have said many times (and gotten in trouble for saying it), there is no accounting for taste. I must re-iterate: “The Shorebird Guide” is a fabulous book for shorebird addicts. If you are one, you need to get a copy ASAP. I keep my copy on the tub next to the throne for easy access. And, there are some great images in the book: Alan Murphy’s Wilson’s Plover at a nest with eggs (49 top), Kevin Karlson’s breeding adult Sanderling (143 top) and his classic displaying Buff-Breasted Sandpiper (192 top), the juvie Stilt Sandpiper (185 bottom), the juvenile Red-necked Stint (283 bottom left), and the fresh juvenal plumaged Sharp-tailed Sandpiper (294 bottom). And there are many others that I missed including several by K.K. Hui and Mike Danzenbaker. From and artistic standpoint, however, the bad news is that the vast majority of the hundreds of images used effectively in the book are not good photographs, and therefore, not—in my book—art. Richard is a very good bird photographer. For years he used “only” my beloved toy lens, the Canon 400mm f/5.6 L lens but has since graduated to big glass himself (though you would never know it from reading his article) <smile> Yes, you can make some good images with that lens, and yes, getting low or better yet, right down on the ground can help you to get closer to the birds, but Richard’s suggestions that folks should not use their tripods and throw away most of their gear are absurd. Though I make lots of wonderful images with the shorter focal length lenses, big glass with either the 1.4 or 2X TCs are my bread and butter, and if I am not crawling around in the mud with them they are always used on a tripod. As for Richard’s railing against the “uni-colored (even-toned) backgrounds pretty much define my style, I could care less that folks do not see the birds looking like that. My style has worked well for me and with many folks emulating my style, I am flattered. In our phone conversation Richard stated that the popularity of this style was mostly my fault. I responded by stating that I always encourage folks to experiment with various styles and pick that one that they like best. I can teach them to create images with backgrounds of pure color, and do so often, but I never force my style on anyone. Richard’s statement that “… for those who are a whiz in Photoshop, you can pretty much do whatever you like and fix it later” promotes a common myth. JIJO. Junk in equals junk out. Lastly, Richard concluded his essay by writing: As to the answer to the question “What is a good image?” That’s easy, one that looks good to you and damn the experts! If an image looks good to you but is unsharp, contains distracting elements, poor wing positions, poor head- and light-angles, clipped toes or feet, birds cut off by the frame edges, etc., etc., etc., then they are not good photographs and they are certainly not art. I will publish Richard’s (expected) response in a future Bulletin. I thank him for letting me reproduce his essay here. Not to worry, we shall remain great friends to the end. Canon 500mm f/4L IS lens with the 2X II TC and the EOS-1Ds Mark II. ISO 400. Evaluative metering +1 stop: 1/200 sec. at f/8. Below is my response to a photographer from South Africa whom shall remain un-named. Though he did sign his name to the e-mail, we shall designate him as AS (anonymous subscriber). AS: Thanks for the great newsletters and info. I always enjoy them and the tips you offer. AM: I am glad for that. Thank you. AS: I thought I would make a gentle protest at the example you gave in the Bulletin 231 showing the Quick Mask Object Removal technique that you used to remove the two distracting birds in the foreground. You know, we (all photographers, that love making great wildlife pictures) would like to have every picture clean, crisp, composed and perfect, but the most incredible satisfying reward is when we are better positioned, with the light right, the preparation timing kicks in, equipment is primed and ready to shoot and BEEP, CLUNK, or CLICK, on review, there out of 20 shots, there it is. The perfect shot. The one off! The thrill, accomplishment, satisfaction and personal reward is worth more than anything else. Yet within a couple of minutes in Photoshop one can take a lousy snap and make it look good? AM: That is a statement not a question. I disagree strongly. Junk in equals junk out. You cannot make a bad picture into a good picture in Photoshop. You can improve the artistic quality of a good image. If you wish to call the result a photo illustration, I am fine with that. AS: Sure, the bird landing is nice, but what about getting the real shot, belly down, at eye level, and hey, I learn from you! Come on; keep the passion burning for the right reasons and the love of making a great image with the camera, at the time. AM: Ah, so you are God. You know the right reasons for the passion to burn. 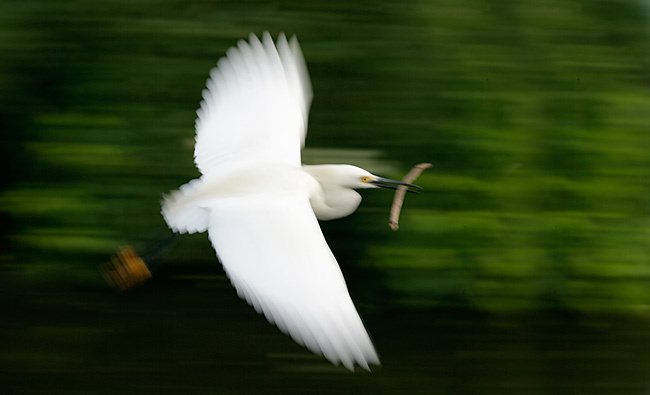 I can, however, assure you that Photoshop or not, my passion for birds and photography burns brightly. AM: Again, that is your opinion. AS (continuing from above) … in ones digital workflow, but good shots don’t need that much work. AS: The work is done in getting to the right place, right time, and right camera equipment, being prepared for the right moment, having the right knowledge and clicking at the right time, and then there’s the right luck, the fancy, techniques, as above, are for the commercial guys, for fashion and fine arts, sciences and the like. AM: Ah, there is God at work again; he knows what is best for whom… I see myself as using modern tools to make good photographs better. I attempt to make images that please me and excite lots of folks. And how can I be a cheater if I tell folks exactly what I do? AS: And we all know those fashion model images are cheats with a lot of work done in Photoshop. AM: I am thrilled that you are classing me as a cheater in your gentle protest. AS: I strongly believe that all wildlife moments reach us on a different emotional level and should not be faked. AM: As I have written, when I optimize an image in Photoshop to improve it artistically the resulting image is always true to the natural history of the moment. By true to the natural history of the moment I mean that the bird is doing in the image what it was doing when I made the image and that nothing has been added that was not there at the moment of exposure. That is my personal ethic and if yours is different I am fine with that. Wishing me to live by your personal ethic gets us back to the God thing again. To quote Byron Katie (www.thework.org), there are three kinds of business: my business, your business, and God's business. My photographic ethics are my business not yours. AS: Rather proudly present a spectacular image AS IS, an unadulterated capture of that moment where the integrity of image is pure. AM: Like Ansel Adams did, right? AS: Who could be proud of a shot like the above and show friends, peers and the like? AM: When I enter a contest I follow the rules carefully; if a contest limits Photoshop work to adjusting color and contrast and removing dust spots, I submit only images that meet those criteria. AS: … the National Geographic and what fascinates, stimulates and challenges people with cameras to want to produce like great images and memories. AM: There you go playing God again and minding everyone else’s business: you know what stimulates and challenges all people. You are amazing! AS: Those incredible images didn’t come easily, most were made with a lot of made opportunity, hard work, some luck, but all with integrity...! AM: Ah, so I am not only a cheater, but a cheater without integrity. Oh how I love being insulted by someone who does not even know me. And I love that you took the time to write me and share your thoughts with me. Thanks for that. Canon 500mm f/4L IS lens with 1.4X II TC and the EOS-1Ds Mark II. ISO 400. Evaluative metering +1/3 stop: 1/120 sec. at f/8. This August, I will make my seventh trip to Africa with Todd Gustafson. Each has been a fabulous success. Several couples sign up for almost every trip that we run. Our trips fill more than a year in advance. Why? We know where to be and when to be there. We hire the best guides. Our trips all feature only 3 photographers per van. All of our vans have three roof hatches making it possible to use your Wimberley head on a Todd Pod. Todd has the logistics down pat. All of our trips run as smoothly as can be expected. All of the hosts and managers know Todd and go out of there way to provide our groups with extra services. 15 days on the ground $8,499.00. Includes: Park Fees, Vehicle and driver guides, Gas, Hotels and Meals, In-country flights. We are leaving the 28th of July for Amsterdam. For information on our Tanzania safaris please contact Toddi as above. Canon 70-200mm f/4L IS lens (handheld at 170mm) with 1.4X II TC and the EOS-1Ds Mark II. ISO 100. Evaluative metering -1 1/3 stops: 1/40 sec at f/10 in Tv mode. It was extremely gratifying teaching the blur technique to several folks on the IPT and then seeing them create some wonderful images just minutes later. With blurs, not two are exactly the same. Reasonable offers will be considered. Please contact me at wildscapeimages@adelphia.net or 407-808-7417. Images available on request. Canon 70-200mm f/4L IS lens (handheld at 195mm) with 1.4X II TC and the EOS-1Ds Mark II. ISO 200. Evaluative metering +2 2/3 stops off the sky set manually: 1/1000 sec. at f/5.6. Though flight photography was not as great as in previous years we had lots of opportunities to teach everyone the intricacies. The third Bosque IPT has been sold our for some time and #1 and #2 are filling quite nicely. Bosque #1: "The Fall Color IPT" NOV 13-15, 2007. Slide Program on the evening of NOV 12. 3-DAY: $999. (Limit 14; openings: 7). Co-leader: Robert O'Toole. This IPT should feature a better chance for a day or two of the rare south winds that drastically improve flight photography and will definitely feature the brightest fall-color cottonwoods. Bosque #2: "The Pre-Thanksgiving IPT" NOV 18-20, 2007. Slide Program on the evening of NOV 17. 3-DAY: $999. (Limit 14; openings: 7). Co-leader: Robert O'Toole & Alfred Forns. This IPT will feature increasing numbers of geese and cranes with lots of great opportunities. In 2007, I will again be hosting a Thanksgiving Day luncheon at Las Lunas Mansion, a fine restaurant in an historic building. You will need to reserve a spot and pay in advance. Details TBA; strictly limited to 50 folks. Bosque #3: "The Post-Thanksgiving IPT" NOV 24-26, 2007. Slide Program on the evening of NOV 23. 3-DAY: $999. (Limit 14: Sold Out) Assistant leaders: Robert O'Toole, Robert Amoruso, and Alfred Forns. This IPT is scheduled on dates that I consider peak for Bosque. (There may be a Full Moon Add-on NOV 23; details TBA.) If you register for this one, hold off on buying your plane ticket if you might be interested in the add-on.) In 2007, I will again be hosting a Thanksgiving Day luncheon at Las Lunas Mansion, a fine restaurant in an historic building. You will need to reserve a spot and pay in advance. Details TBA; strictly limited to 50 folks. SW FLA Post X-mas IPT: DEC 27-29, 2007). Slide program on the evening Wednesday, DEC 26, 2006. 3-DAY: $1029. (Limit 12) Co-leaders: Alfred Forns, & Robert O'Toole. Sanibel Island, Venice Rookery, Cape Coral, and possibly Little Estero Lagoon (depending on the tides). Herons, egrets, gulls, terns, skimmers, shorebirds, both pelicans, Osprey, Burrowing Owl, and lots more. Roseate Spoonbill and Wood Stork possible. Canon 500mm f/4L IS lens with one 25mm extension tube, the 1.4X II TC, and the EOS-1Ds Mark II. ISO 400. Evaluative metering -1/3 stop: 1/400 sec at f/5.6.